0 Character spotlight: Clear Angel and Giveaway! Brief Physical Description: Clear is 24 years old, 6 ft tall, blond-haired, with sunflower blue/ green eyes and a naturally red/ tanned tone courtesy of her Native American ancestry. Clear’s strengths: She is a genius, and a psychic! She is also a very compassionate person who cannot leave others in pain when she thinks she can do something to help. Clear’s weakness: She is an extraordinarily vulnerable young woman. With little or no control over her psychic abilities, she is left exposed to the world’s thoughts and emotions. This is something she struggles with daily. She is also very lonely; not only because of the havoc her abilities cause her when she is around people, but because she doesn’t know how to form normal bonds with people. She doesn’t know how to interpret the thoughts and feelings she gets from people because she only gets pieces of their thoughts and feelings. Combine that with typical insecurities and you end up with a very vulnerable young woman! Quirk: Turning to animals for comfort. They are the only ones who cannot hurt her with their thoughts and feelings. Covering her pain and social awkwardness with snark and sass. Inspired by: Clear is solely inspired by me. She is the best and worst of my thought processes combined into one ball of emotional psychic madness. As I have written her, at every turn I have asked myself “What would I do in this situation, if I were Clear.” Talk about a dark look into this author! Psychic Clear Angel hasn’t seen or heard from her one-time lover Detective Grant since their first case wrapped up six months ago, and that is perfectly fine with her! But when he shows up on her porch in the rain and in tears, she cannot hold her ground. No matter how she feels about Grant and her “gift”, she can’t ignore the visions already pouring in. Grant knows that he is no good for Clear, and has respected the distance she has kept. But when his daughter goes missing and the Chicago police have no leads, he turns to Clear and her unique abilities. This next adventure puts Grant and Clear in close quarters as they find themselves once again fighting their feelings for one another. Thrust into the dark underworld of performance art, they strive to track down a ballerina who keeps taunting Clear in her visions. As they delve deeper into one studio, the grisly visions that haunt Clear may be more than she can handle. Can Clear hold it together to help find Grant’s daughter before it is too late? Elements of a Broken Mind: Psychics have no place in the detective world, but that doesn't stop Clear Angel from being a detective's secret weapon in the search for a serial killer who is kidnapping and holding women hostage. 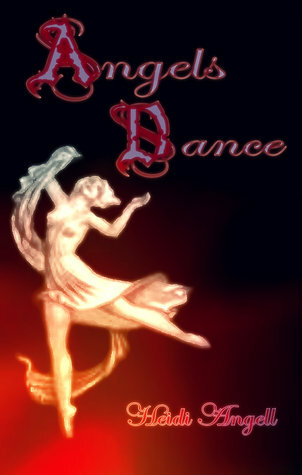 Angel's Dance: Despite swearing to stay away from Grant, Clear finds herself dragged into Chicago's underworld of performance art in an effort to save Grant's daughter from a fate Clear's visions assure her is worse than death. Heidi Angell has been passionate about writing since she "published" her first book in her first grade class! She has written thousands of short stories, plays, books and poems. She has published a psychic thriller novel Elements of a Broken Mind, and the sequel Angel’s Dance releases November 25th, an urban fantasy/ horror The Hunters, a children's picture book Royal Prince Vince, and an activity book Creative Exercises to Inspire. Heidi is also the vice president of Soul Star Publishing. She is a mom and a wife, active in Cub Scouts and in her community.